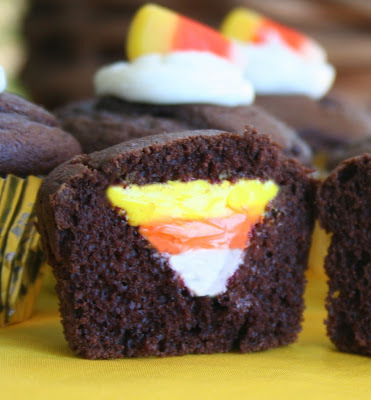 People will think that this Halloween cupcake is a trick when they don't see any frosting, but the treat is inside these candy corn cupcakes. Not only is their frosting inside, but it is all the colorful fun of a candy corn. You can see the tutorial for these filled cupcakes over at The Sugar Turntable.